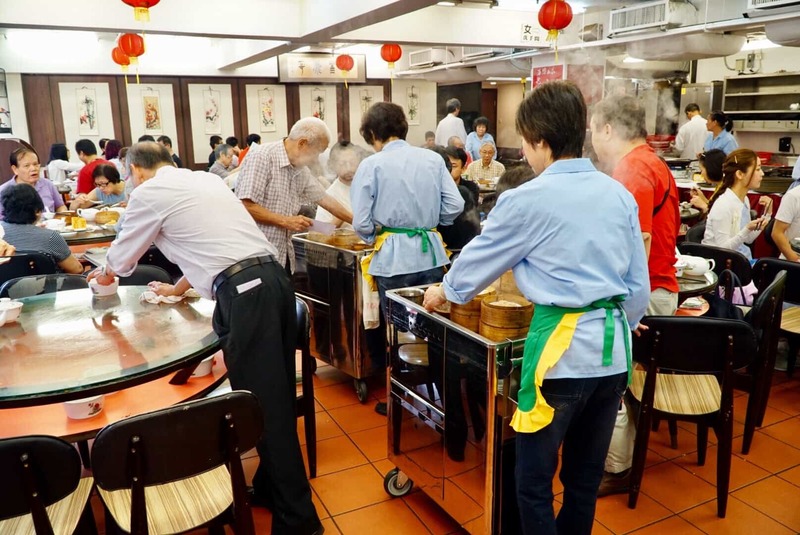 Lin Heung Tea House is by no means a new dim sum establishment in Hong Kong, and few of the folks working there speak much English, but it is certainly a classic, and arguably, it’s the most authentic dim sum in Hong Kong. 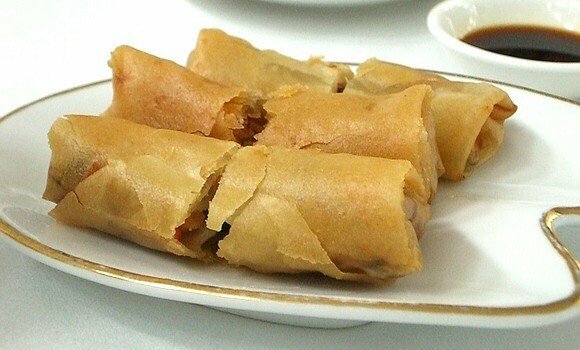 In fact, in 1926 Lin Heung opened two branches in Hong Kong. 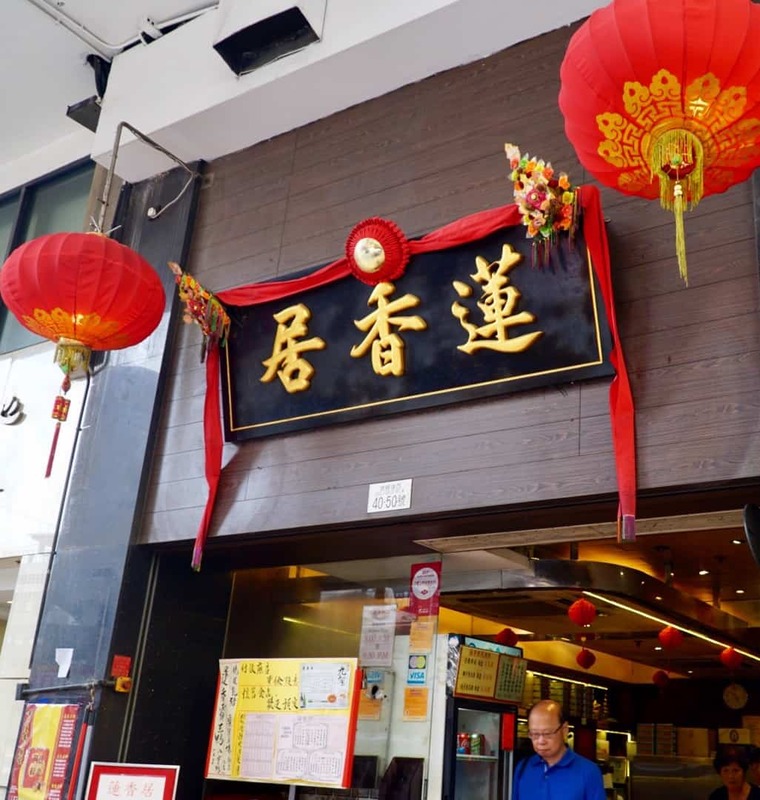 In 1980, Lin Heung opened its branch in Central, and its branch in Sheung Wan (which is the location we review below) opened in 2009. 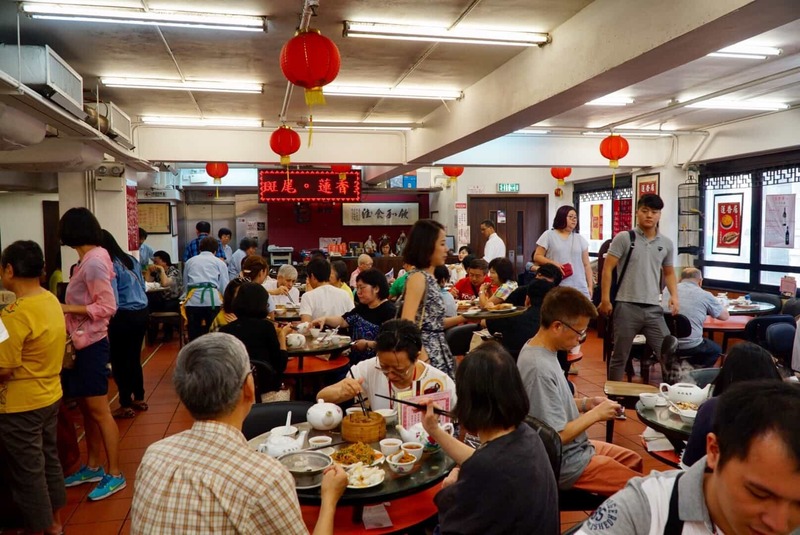 Suffice it to say, Lin Heung is a relic of Hong Kong’s past, and it’s a one of a kind experience. If you wanna read more, check this out. 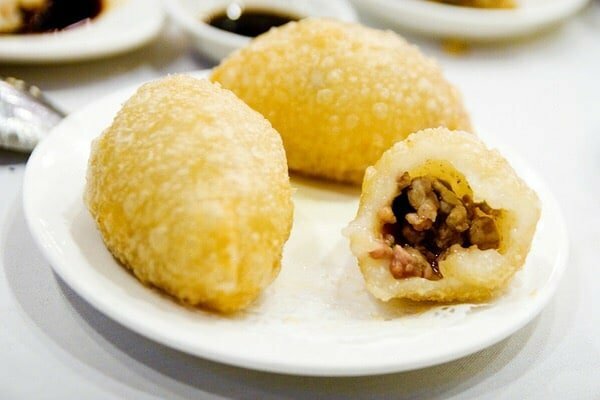 If you’re worried about the language barrier here (and there is a decent sized one) why not let us guide you through the crazy yet exciting hustle bustle of Lin Heung, so all you’ll have to worry about is enjoying their fresh and hot dim sum! 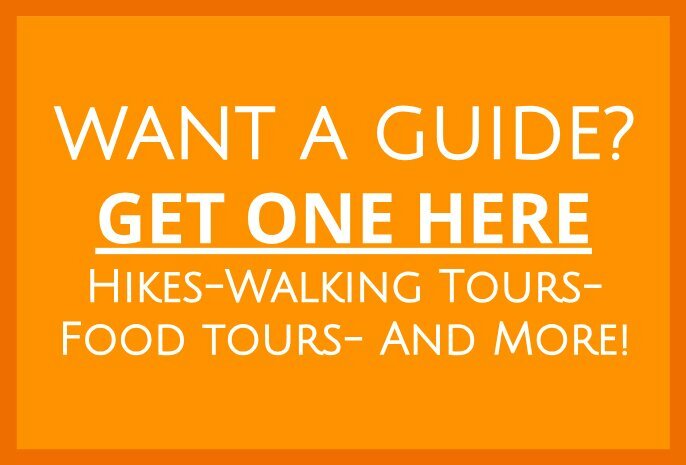 Click below, and we’ll start making plans with you! 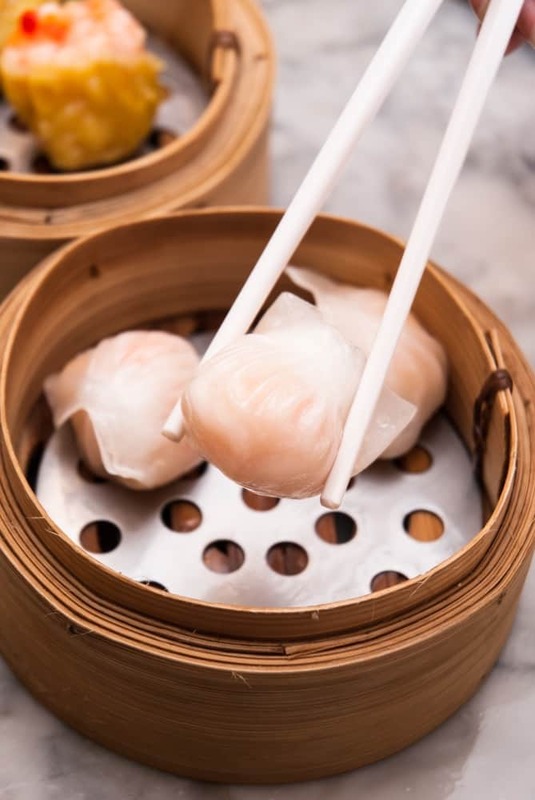 Aside from Lin Heung’s high quality dim sum, what sets it apart from nearly all other dim sum restaurants in Hong Kong is the fact that it still uses old school steamer carts to deliver fresh, piping hot dim sum right to your table. 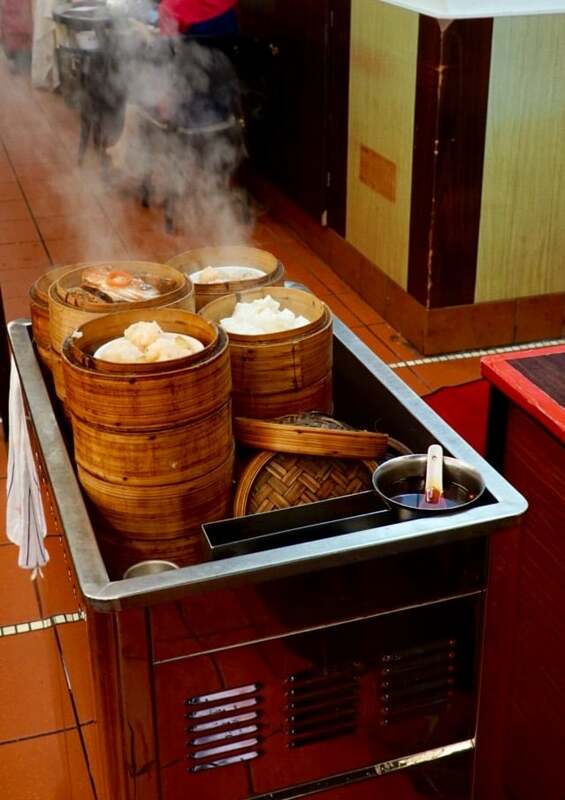 While steamer carts used to be the norm for dim sum houses in Hong Kong, as space has become an increasingly prized commodity, many dim sum houses have decided to cram in more tables and thus forego the precious space the steam carts need in order to pass throughout the restaurant. 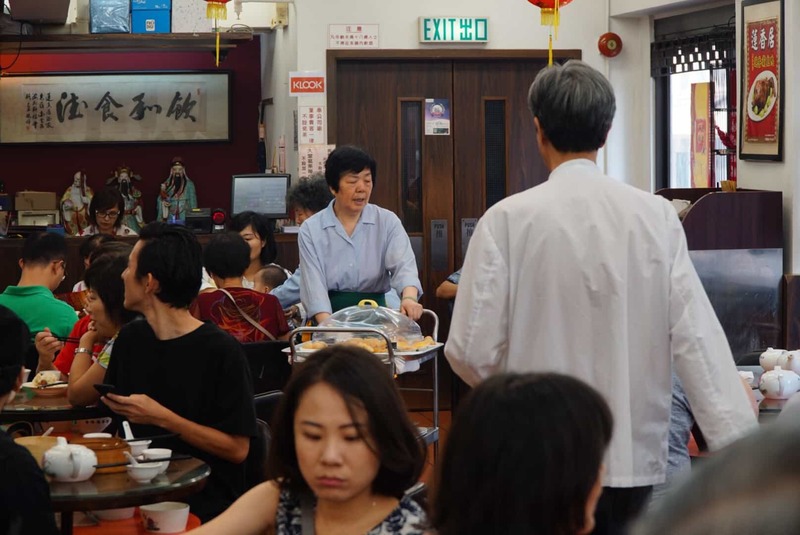 But Lin Heung Tea House has held out, and in doing so they have preserved a traditional cultural experience of Hong Kong’s past. 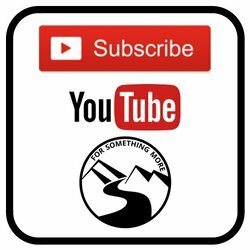 You’ve got to check it out as soon as you can, as maybe one day Lin Heung might decide to do away with their carts too! 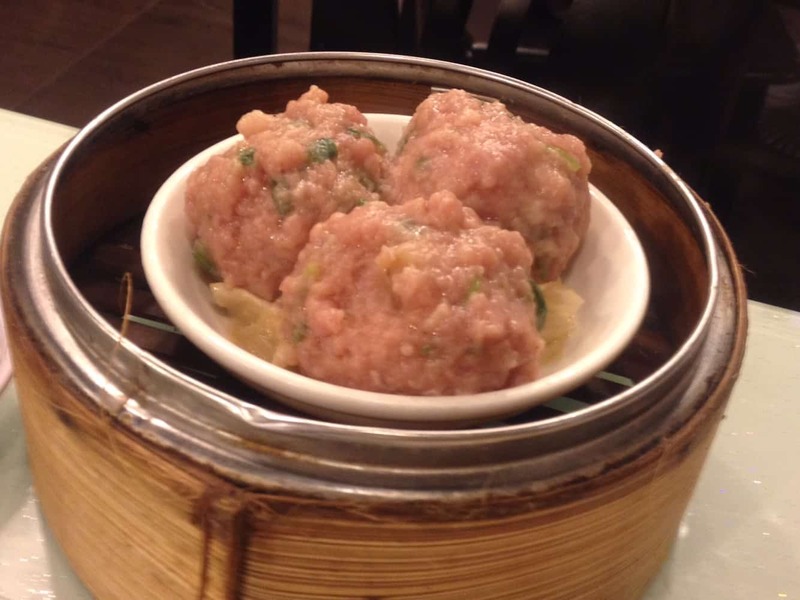 You’ll certainly not regret having authentic dim sum in Hong Kong. There are two levels at Lin Heung. Usually, the first floor is more busy and the second is a little bit less so. Wherever you decide to dine, expect to share your table with a few other people. Also, when you sit down, the waitstaff will ask you what type of tea you would like to drink. We usually get black tea, boe lay cha, but they also have Jasmine, jah-soo-mean and green tea, luk cha. After they ask you for your tea selection, they will hand you a stamp card. The waitstaff will use this card to tally up all the different dim sum you order. 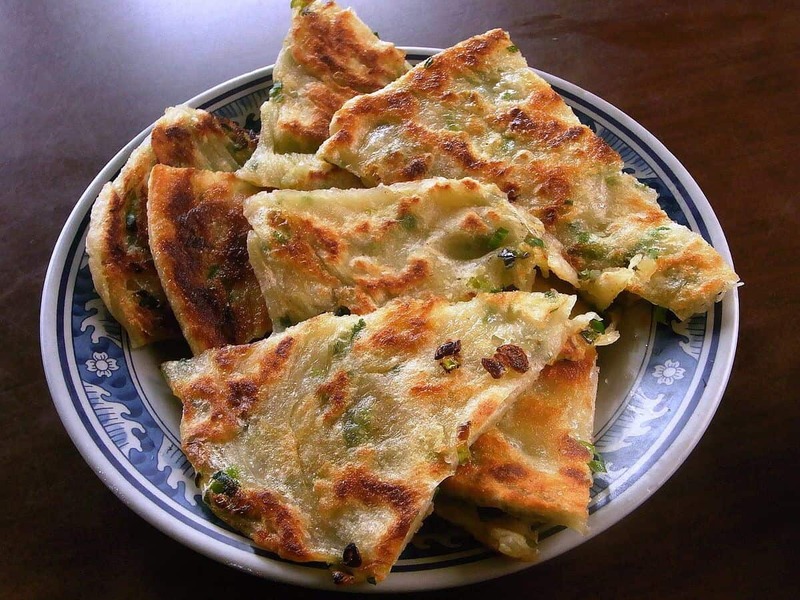 Since Lin Heung does not have any English menus, ordering there can be a little intimidating. Do your best to use the info below, and you’ll likely end up with something delicious at your table! It is perfectly acceptable to stand up from your table, walk over to one of the steam carts and ask (or gesture) to see what they have to offer. If you like what you see, hand them your stamp-card, let them stamp the item you have ordered, and take your food back to your table. 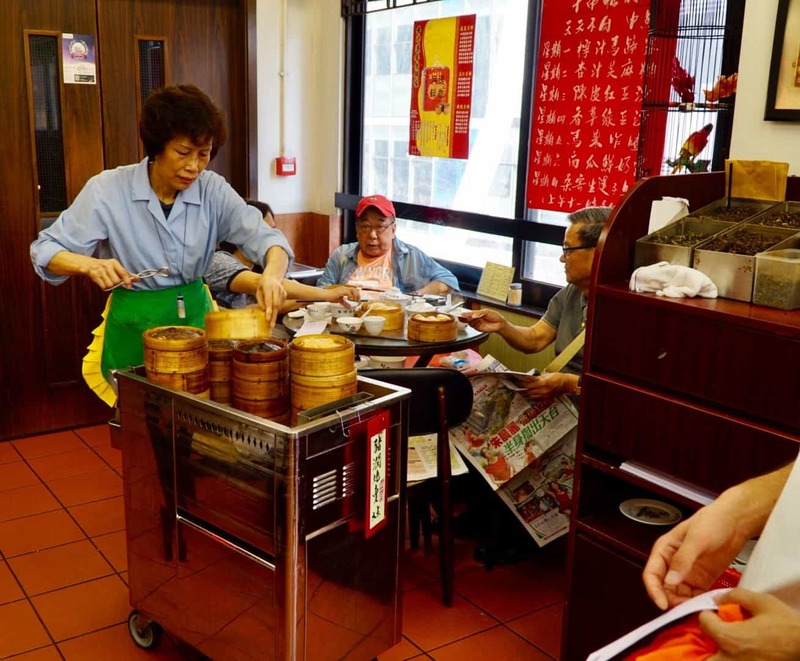 Another way to get some of the delicious dim sum on offer at Lin Heung is to simply sit back, sip your tea, and wait for the steamer carts to pass by you. Of course, you can just show them some of the pictures below, and you also will be good to go! 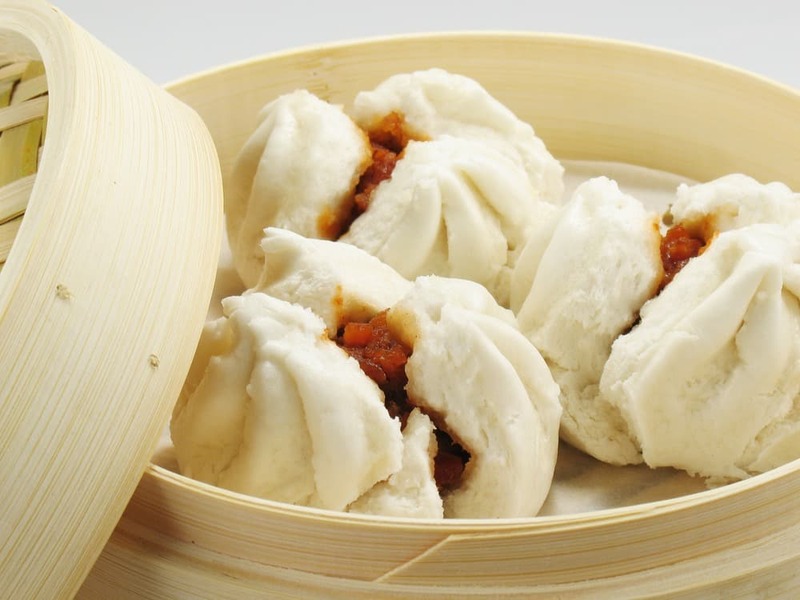 Again, we encourage you to explore this culinary treasure trove on your own. 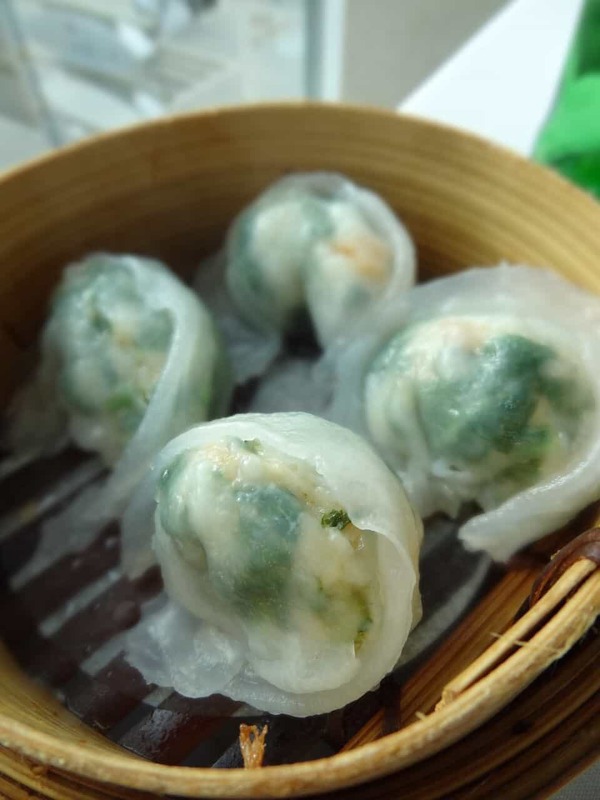 However, if you would like to try some of the dim sum that we have found to be delicious, here is what we suggest. 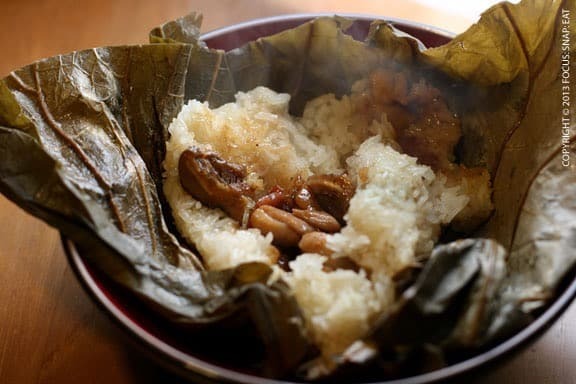 Again, if you’d like to leave all the logistics to us, click below, and we’ll start planning your very own Lin Heung food tour! 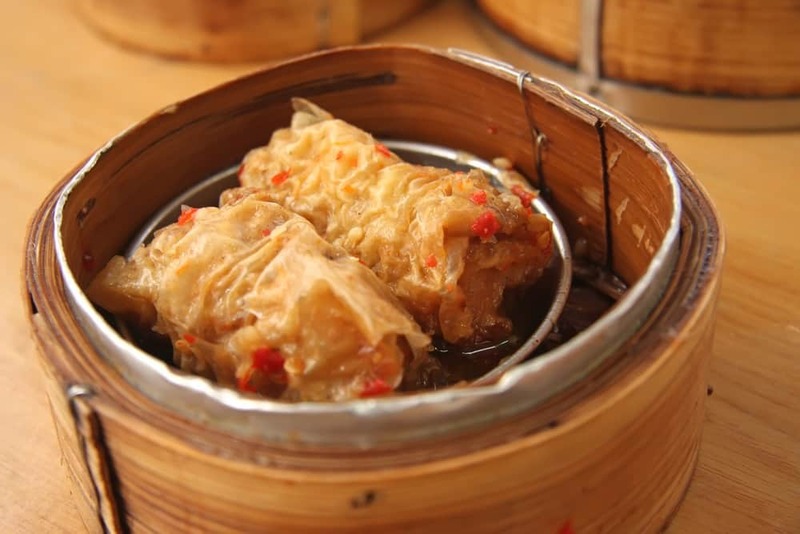 And if you’re not completely satisfied after having some of this authentic dim sum in Hong Kong, check out our Hong Kong Soul Food Guide, and you’ll definitely find all the culinary delights your heart could ever desire! 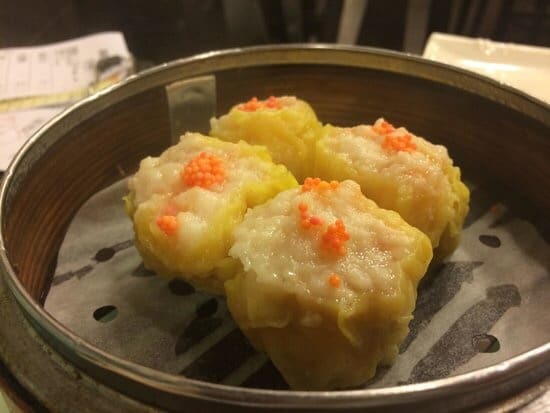 Let us know if you think this is authentic Dim Sum in Hong Kong or not by leaving us a comment below or reaching out to us here.